I’ve mentioned it before, but one of the great things about running this blog is the many interesting people I come across. In some cases, I may only exchange a few words in a post comment, but in others I may go on to have extended email conversations, or even work on a project together. In the last few months I’ve been doing some light marketing for some of my books: posting to websites, emailing people who might be interested, and the like. The hard part is trying to not annoy anyone and yet find people who will enjoy reading my translations. In the process I ended up emailing Ben Hourigan because he seemed like the perfect candidate, especially due to his strong interest in Japanese literature and culture. While talking to him over email I realized Ben had some really interesting experiences that I wanted to share with others, as well as learn more about myself. When I asked him if he was interested in doing an interview on STJ, he said he would be glad to. I sent a relatively short list of questions and was surprised by the length of his answers: around 13 pages, nearly 5000 words! I don’t want to make this introduction too long but I’ll just say that I structured the questions to focus on his experiences learning Japanese and living in Japan, and these were the areas he spent the most time answering. Q. Hello Ben, thank you very much for participating in this interview. To begin with, I’d like you to tell us a little about your typical day-to-day work. I’m a freelance editor and copywriter, so that means I spend my days either writing, or improving things that other people have written. Most of my writing is advertorials—advertising in the form of journalism—about hotels, airlines, technology, whiskies, watches, and travel destinations. Lots of this has an Asia angle: last year I travelled to Taiwan to interview the CEO of a motorcycle-maker, and I’ve written several pieces about cities in different parts of Japan. I also write real-estate brochures now and then. The editing work I do varies a lot: recently I’ve done PhD theses, scientific papers and grant applications, novels, event programs, and websites. One of the more fun projects I’ve been working on is to work with a Japanese translator to refine his English translation of the site for a Tokyo gelato shop. Since I started working for myself full-time in 2013, I’ve lived in South-East Asia. Before that, I was an editor and later a manager at a magazine publisher in Melbourne, Australia, where I grew up, and I was also the editor at a think tank in Sydney for a year. Q: Like me, I think you have a deep interest in the culture and language of Japan. Can you tell me when that began, and what areas particularly interest you? I really do! I only wish I spoke the language a lot better. The big areas that interest me are literature, videogames, and Zen Buddhism. Each of those has its own entry point. The first thing that hooked me on Japan was a book. My mother taught me to read quite early, and I was already reading short novels in my first year of primary school. So, whenever we would go on a family holiday, I always wanted to check out the second-hand bookstores: you could find different things in different towns. In Gosford, where we would stay with my father’s parents every summer at the end of a thousand-kilometer drive, I found a battered copy of The Case of the Marble Monster (1961, aka Ooka the Wise), a collection of stories about Ooka Tadasuke. Ooka was a judge in Edo, who folklore credits with ingenious ways of doing justice in many difficult cases, and is today best-known through the TV series Ooka Echizen (1970–99). In one of the stories in the book, Ooka orders a student to pay for the “stolen” smell of cooking fish with the sound of coins passed between two hands. In another case, Ooka orders a Jizô statue bound and brought before the court to testify. 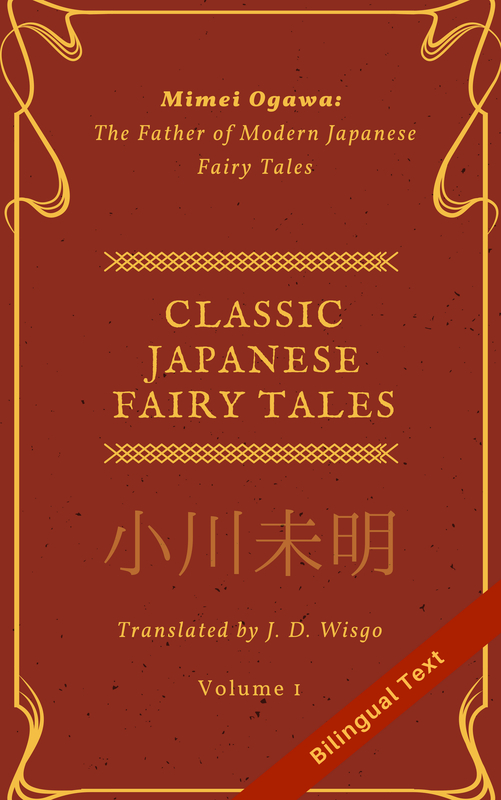 These stories fascinated me, as did the illustrations of Edo-period people and places, and gave me the sense of Japan as a place with an enchanting aesthetic and traditions that differed from those of the West. I also played Nintendo games as a kid, but probably didn’t pay much attention to how Super Mario Brosand The Legend of Zeldawere originally from Japan. Similarly, Australian TV played Japanese cartoons like Battle of the Planets (Kagaku ninjatai gatchaman, 1972), Astro Boy (1980–1), Belle and Sebastian (1981–2), and the Japanese–French collaboration The Mysterious Cities of Gold (1982–3). But again, I don’t remember thinking much about their being Japanese. I just thought they were cool cartoons. So, my next big Japan encounters were with videogames (again) and Zen, both when I was fourteen or fifteen. I had a friend at high school who had lived in America for a while, and he told me about Final Fantasy, which was relatively unknown in Australia. I played Final Fantasy (1987), Final Fantasy IV (1991), and Final Fantasy VI (1994) using NES and SNES emulators on my laptop in the back of classes in my final years. Final Fantasy VI made a huge impression on me. It had much deeper storytelling and characterization than I was used to in Western role-playing games (RPGs). By then, I had internet access in the computer lab at lunchtime, so I was able to read about Final Fantasy’s Japanese origins and the compromises made in the translation process. Nintendo of America had policies against depicting religion, so the spell called “Holy” (hôrii) in Final Fantasy VI on the SNES got called “Pearl” instead. And Ted Woolsey’s translation of the same game had to cut or simplify a lot of dialogue because English text takes up more space on screen and on a game cartridge than the Japanese equivalent. I learned to look forward to new Japanese RPGs (JRPGs) that were coming out, like Final Fantasy VII, which I played right after graduation, and later played fan translations of games like Final Fantasy V (1992, trans. RPGe 1998), which hadn’t been officially published in the West at that point. And I kept playing JRPGs through my university days, which was part of what inspired me to take up Asian studies as one of my majors. About the same time I discovered JRPGs, I also started reading about Zen. My maternal grandmother had been interested in Eastern spirituality, and when she died several years earlier, Mum brought many of her books home to our place. Once I was old enough to be interested, I read The Way of Zen (1957), by Alan Watts, and Zen Mind, Beginner’s Mind (1970), by Shunryû Suzuki. I chose Philip Kapleau’s The Three Pillars of Zen (1965) as part of an academic prize I won at graduation, and following its instruction, I started doing zazen (Zen meditation) on my own. Later, I joined a Zen group that one of my philosophy tutors at university belonged to, and by now I’ve been meditating for more than twenty years. Strangely, I didn’t end up doing zazen with anyone while I was living in Japan. In the subway around Umeda station in Osaka, I once approached a Western man wearing black monk’s robes, and asked him if there was anywhere good to do zazen nearby. He said something like, “no—you have to go very far away,” and I didn’t look into it any further. This is getting to be a long answer, but I have to mention a couple more things I love about Japanese culture. I started reading more Japanese novels, in translation, while I was at university, and got really into Kenzaburô Ôe. His book A Personal Matter (Kojinteki na taiken, 1964) remains one of my favorite novels. Lately, a Japanese book I’ve been telling everyone about is The Great Passage (Fune o amu, 2011), by Shion Miura, which is about making dictionaries and so is a great read for language nerds. It’s also just a beautiful, heartwarming story. I’m quite fond of Osamu Dazai and Haruki Murakami, as well. Japan introduced me to jazz, too: while reading Murakami, I’d often use a streaming service to listen to the songs he mentions, and I also took listening cues from the anime Kids on the Slope (Sakamichi no Apollon, 2012), and the soundtrack to Samurai Champloo (2004), both directed by Shinichirô Watanabe. Two of my favorite jazz tracks are Luv Letter by DJ Okawari, and, though not strictly Japanese, Fujiyama from Jazz Impressions of Japan by the Dave Brubeck Quartet. Apple Music’s Jazz Scene: Japan playlist is great too. Q: I heard you lived in Japan before. Can you tell us about that experience? I arrived in Japan just a few days before my twenty-fourth birthday, and living there turned me into a proper adult. When I arrived at Narita, most of the Nova people on the plane with me got taken to an office in central Tokyo, where they’d be set up with apartments, phones, internet connections, and so on. But I and a couple of others were put on trains elsewhere, and I soon discovered that I was to be teaching in Ôta-shi (pop. 220,000), in Gunma prefecture, about two and a half hours north of Tokyo and a fare of more than ¥2,000 each way. This may have been in the Kantô region, but I think few people would genuinely count it as part of the Tokyo area. Being outside Tokyo meant none of the promised help with phones and so on that those other teachers on the plane with me would get at the Tokyo office. There was, at least, an empty apartment waiting for me in a building called Shido Palace, for which Nova was charging above-market rent. On one of my first days in Japan, I walked about twenty minutes out of town to a big electronics store and somehow, with no more Japanese than you can get from the Genki I textbook, I managed to get a phone plan and a handset. I even filled out the contract form in Japanese, writing my name in katakana in one place and copying the kanji for my address from my Nova orientation documents in another. There were many other gotchas with Nova. They didn’t pay until the end of your first fullmonth, and since I had arrived in the first week of September, that meant no pay until the end of October, after nearly two months in the country. Even then, it wouldn’t be for the full amount, but at a probationary rate reduced by about 25%, giving me a bit less than A$3,000 a month. Then, back in Australia, Nova had told everyone that if they didn’t like their placement, they could apply for a transfer after three months. But as with the pay, they only counted full calendar months, and around Christmas and New Year there were two months where the office wouldn’t consider transfers. When I asked head office about transferring, they told me it wouldn’t happen until at least March—six months away—and then only if the regional manager approved it. To anyone familiar with Nova, it will be no surprise that I missed out on a few things I thought I’d been promised. They simply didn’t treat people very well, be they employees or customers. About two years later, Nova collapsed practically overnight when disputes with students over refunds led the Ministry of Economy, Trade, and Industry to temporarily ban the school from selling new long-term lesson packages to students. The brand has since been revived, and I don’t know anything about what it’s like now. But it was clear that Nova as it was back then wasn’t going to give me the big-city experience I wanted. And I thought, there’s no one here who’s going to help—it’s all up to me. That was the moment where I started to take full responsibility for myself. I called a few other English schools, and the main Berlitz office in Osaka said they’d give me an interview. I’d checked my Nova contract and found there were no penalties for leaving, and I’d still have my working-holiday visa. So I handed in my resignation and went down to Osaka by shinkansen for the interview, with the resolve to stay there until I found a job or my money ran out and I had to go home. I figured I had about two months. I got the job, but my money still ran out. With the change of company, I didn’t end up getting a full pay packet until I’d been in Japan about four months. By then, I’d maxed out my credit card at A$11,300 and had to call my dad to ask for a few hundred dollars to tide me over until I got paid. My parents aren’t well off, and I think this was only the second time in my life I’d ever asked Dad for money. I was totally broke. I’d owed about A$5,000 on that card before I left, from my student days, and am amazed now that I got through my first four months in Japan on just A$6,000. With all that debt to pay off, my life was a bit different to what I saw many English teachers my age doing. I took as many lessons as I could get, which meant getting up around 6am most days, having a coin-operated shower on the roof of my apartment building in Shimanouchi (near Dotonbori and Shinsaibashi), and cycling to Umeda to start teaching lessons from 7.30am. The traffic that time of morning was pretty light, and I got so familiar with the timing of the traffic lights along the route that I ended up doing the 5km ride in just twelve minutes. At 7.30am, I would be teaching salarymen before work, and then from around 9am there would be housewives until around noon. I’d go home, sleep if I needed to or sometimes explore the city, and then come back to work from about 6pm to 10pm, often closing the school after the last class. I’d teach on Saturday mornings, too. Doing split shifts was exhausting and made it difficult to socialize, and I didn’t travel much outside the Kansai area. I had one friend from Canada who I visited Kobe with a couple of times, and I spent a week in Kyoto with my parents when they visited. But I did also get to go on hikes with a group called Kansai Ramblers, once a month, which was wonderful, and I would ride my bicycle all over the city whenever I had the energy. Japan is a great place for cycling, even in the most built-up parts of a city like Osaka. I economized on food—my staples were tofu, frozen gyôza, and katsudon and salmon sushi from Super Tamade, a cheap supermarket chain that’s only in the Osaka area. With the light eating and all the exercise I did, I lost about 10kg. At a sentô the Ramblers went to after a hike, I weighed myself and found I was only 53kg. After that, I tried to eat McDonald’s regularly to fatten myself up a bit. Winter felt pretty harsh, too. It snowed in Osaka that year, and I was living in a cheap, monthly-rental apartment that felt impossible to heat. I could get one bar heater to run in there, and if you turned the microwave or the stove on at the same time, the power would go out. I’d sleep huddled near the heater at night, which in retrospect was pretty dangerous, and once melted part of my favorite suit jacket against it. I couldn’t afford another, so I kept wearing it. I am making this sound fairly grim, and when I went home after about nine months of this because I realized I had to think about starting a proper career, I was faintly traumatized and had a bit of a negative view of Japan. I thought, too, about how many of the students I taught had spoken about feeling trapped in their lives, by their obligations to work and family, and how the Japanese friends I made who had lived abroad seemed haunted by the greater freedom they had experienced outside Japan, and sought contact with foreigners as a way to keep their memory of it alive. I sometimes regret having been so quick to leave Ôta. There were some lovely things about that smaller city and the countryside within and around it—the rice paddies, the stone-walled canals, the wooded, shrine-studded hills, and the overgrown empty lots. Had I stayed out there, I might have had an easier time. But I found grit through those hard experiences, and had the satisfaction of forcing my way through to the city life I’d gone to Japan for. It makes me think of a panel from my favorite manga, 20th Century Boys. Twelve years later, after I had already moved away from Australia, I went back to Japan for the first time and revisited my old neighborhood in Osaka as a free person in control of my time and livelihood. I enjoyed the city much more on my own terms. These days when I visit, I usually prefer to stay in Kyoto, for its historical character and mountain setting. It’s one of my favorite places in the world. Q. How did living in Japan improve your Japanese skills? I’ve learned more Japanese outside Japan than inside. As I hinted before, I had studied most of Genki I before I went there, and I didn’t get much beyond that before going home. I spent my working hours speaking English with Japanese people, and in my social life, I mixed either with gaijin or Japanese people who spent a lot of time speaking English even to each other. But I probably underestimate how much daily life helped to bed down the basics of Japanese and make them second nature. I’m thinking about the words and phrases you use for everyday things like shopping or going to restaurants, reading hiragana and katakana, and learning to recognize kanji you see every day, including ones for food, places, and certain kinds of shops. It also helped me develop a more natural, native pronunciation. Q. What sort of techniques and resources do you typically use to study Japanese? If you could start over, how would you study differently? These days, I’m using Anki flashcards to revise the kanji, after having finished Nihongoshark’s 97-day kanji challenge, and to learn new vocabulary. I’m reading Japanese the Manga Way, which is the first textbook I’ve had that covers colloquial Japanese. And I plan to go back to doing Pimsleur “tapes” soon, which I buy through Audible. These methods have taught me more Japanese in the past two or three years than in all the time before that. If I could start over, I’d be sure to learn all the kanji at the beginning, and to do the Pimsleur tapes to learn to speak, instead of just working sequentially through Genki. Modern smartphones weren’t yet around when I first studied Japanese with any seriousness in the early 2000s, so I wouldn’t have been able to do the Anki flashcards, but I’d still have been able to find Heisig’s Remembering the Kanji if I’d known about it. I would have balked at the price of the Pimsleur tapes in my teens and twenties, but they’re worth it; if you can just spend half an hour a day listening and repeating, following the tape, you will eventually learn to speak in Japanese seemingly without any effort at all. The process just programs your brain so you can do it. On my last Japan trip, to Okinawa in 2018, I was about a third of the way through level 2 of Pimsleur Japanese, and found I could speak Japanese for almost any everyday situation except in-depth conversations. But that proficiency does leak away if I stop practicing every day. I’ve never taken a classroom lesson on Japanese. Q. I heard you did some academic work related to Japanese RPGs. That sounds fascinating, can you tell us about that? I first wrote about JRPGs for a university subject I did on Japanese pop culture, and I got a decent mark, so I kept doing it. My honors thesis in Asian studies looked at how Final Fantasy VI, VII, and VIII imparted distinctively Japanese social values about the importance of relying on others and forming interdependent relationships. This is something that Takeo Doi talked about as being fundamental to Japanese psychology in a book called The Anatomy of Dependence (Amae no kôzô, 1971). Fans of JRPGs, manga, or anime will probably have seen plenty of characters who talk about how they can get through anything if they have their friends by their side, along with antisocial protagonists who need to open up and learn to rely on others before they can achieve their goals. When I wrote that thesis, which I summarized in a paper called You Need Love and Friendship for This Mission!, I speculated that this theme in the games could have been a response to fears about antisocial behavior in youth—about the hikikomori (social withdrawal) phenomenon, or ideas that videogames and manga could drive people to violence. If kids were staying in and playing games, I thought, maybe the creators had the idea that the games themselves could talk the kids out of it. Now, though, I’m more inclined to believe that the theme of learning to open up and rely on your friends is just a part of typical Japanese attitudes to personal development and social interaction. In Persona 4(2008), for example, you really see the idea presented quite explicitly that relationships with family, friends, lovers, and people at school, work, and in your neighborhood are an essential part of the path to individual maturation and self-realization. From my honors marks, I got a scholarship to do a PhD in cultural studies, which settled on the more ambitious topic of working out what the political orientations of JRPGs were as a whole genre. I had the idea that the anti-capitalist, environmentalist themes you see in Final Fantasy VII(1997), or the outlaw heroes of Skies of Arcadia (2000) or the Suikoden series (1995–) indicated a broadly radical politics, which I would be able to praise through the lens of Marxian cultural theory (like that of Fredric Jameson, Hardt & Negri, or David Harvey), which is at the core of cultural studies as a discipline. But I ended up not finding that argument compelling. Instead, JRPGs, and the fantasy genre in general, aren’t typically about revolution—they are about defending an existing society (or the whole world) from an external threat or internal corruption. This is more a conservative stance than a radical one. I had to read about conservatism and classical liberalism for the first time as part of this research, and in doing so, I saw these ideologies and their adherents were not the bogeymen that many of my professors and peers had made them out to be. At the time, I considered myself a radical leftist. I’d even volunteered at an anarchist bookstore collective for a while. But I began to change my mind—not mainly because I felt compelled by other ideologies, but because I began to see my discipline’s viewpoint as one-sided, and because of how people in my department reacted to the changing direction of my research. The theory I’d relied on up to then would have dictated that I condemn the games, if they were conservative. But that didn’t appeal to me. At least, I thought, I could report what I found and leave it at that. But that was viewed as unrigorous or insufficiently analytical. I didn’t find anyone at the university who could support me in finding a different approach that my supervisors and the examiners they selected would accept, and about a year before I left for Japan, I had to go before an unsatisfactory progress committee that was quite hostile in spite of my having written a full draft of about 130,000 words. I got the impression there that I’d have to go back to the old approach—a Marxian analysis that would condemn the games if they weren’t radical—or I wouldn’t finish. That would have seemed phony to me. I couldn’t see a way forward with the thesis, or to an academic career after that, so I abandoned the project even though on the face of it I was very close to finishing. That experience made me see university leftism as narrow-minded and conformist for the first time, and I gradually came to be quite opposed to it. Q. How is it being in Bangkok? Do you have enough access to Japanese culture there? I’m not a huge fan of the city—constant traffic jams make it a pain to get around and there is practically no green space. But rather than carp about that, I can say that there is a huge Japanese presence here, which I enjoy a lot. Much of the Japanese food in Bangkok is very authentic, and in the mid-range it’s better value than in Japan. Some of the izakayas here are branches of ones in Osaka and Tokyo. One restaurant I used to go to for lunch, when I lived in a different part of town, had manga lining the walls so you could go there and read. I’m also a big fan of Okinawan food, especially gôyâ chanpurû and taco rice, and there’s at least a couple of good places for that. There’s a big Kinokuniya where you can buy Japanese books, Muji, Japanese supermarkets, an Isetan department store, and Loft. You can get Glico ice cream, Pocari Sweat, and Ito En tea at 7-Eleven. I realize that’s all fairly superficial, but you can definitely see the Japanese presence here, and if your tastes are more Japanese than Thai, you can have that catered to some of the time. The internet helps, too: I recently ordered a bunch of Japanese stationery (Life Noble Note, Tombow pencils), from Amazon Japan, and since you can download or stream books, games, movies, and music now, you can engage with Japan wherever you are. Q. Tell us a little about your books. Do you have any new books coming out soon you’d like to mention? I’ve written one long novel, which I started publishing in three volumes from 2010. The first two are Kiss Me, Genius Boy, and My Generation’s Lament. I’m not a huge fan of those titles anymore, and may retitle them so the series goes (1) The Dream, (2) Waiting, and (3) No More. The story is about a boy who has a dream that he thinks shows the woman he is supposed to marry. He meets her in early adulthood and she’s already married, to a friend he hasn’t seen in a few years, so he decides to seduce her away from her husband, and in a way, it doesn’t go that well. The major theme is how we might bring ourselves to do terrible things in pursuit of the perfect world or life. While I was writing it, I was inspired by Kenzaburô Ôe’s semi-autobiographical approach. The plot is fiction, but it’s illustrated with things that have happened to or around me, particularly on campus and as a wannabe writer. And as Ôe would, I’ve gone out of my way to expose how the protagonists, like me, or the heroes of Persona 4, or anyone, constantly struggle with troubling thoughts and base motivations, which they may even give into rather frequently. One of the main character’s lovers, Lily, is a bit villainous and was quite fun to write, and readers have told me they enjoy her a lot. I’m well behind in getting volume three of the series out, and I’d like to say it might happen within the next year, but I’m not optimistic. Since I started working for myself, staying independent has been the most important thing, so I put client work above my creative work. That’s not entirely healthy: I need to go back to devoting an hour a day to writing, the way I did when I was an employee. I wrote the first draft of my whole series almost entirely by spending every lunchtime in a cafe with a notebook and a fountain pen. The work adds up that way. Q. Finally, where do you see yourself ten years from now? In ten years, I’ll be forty-eight. Realistically, I’ll still be in Thailand much of the time, because I have family here now. But I’d like to be somewhere smaller, more beautiful, and more charming—not Bangkok. I’d also hope to have found a source of income that gives me more time to write, and to have finished some more books. Also, after spending more than a decade away from the university and my research, since 2017 I’ve been catching up on everything that happened in JRPGs between 2003 (Xenosaga Episode I, Skies of Arcadia Legends, Final Fantasy X-2) and the present. There is more consciousness now, with the work of people like Jordan Peterson, Jonathan Haidt, and Boghossian, Lindsay, and Pluckrose, that the left’s monopolization of the humanities has been destructive. I’m optimistic that I might be able to find a new approach, finish the research on JRPGs, and go back to participating in academic life in at least a small way. I hope that might be part of the next ten years. I wanted to thank Ben again for spending so much time answering my questions, and with so much great detail! I especially enjoyed the parts about his life in Japan, and about academic research of JRPGs. The connection I have made with Ben is a great, if unexpected, result of my small-time marketing efforts––much more valuable than selling a few copies of my books. As I was going through his answers it was surprising how many things we have in common, right down to having the same favorite manga (20th Century Boys). I was even considering joining Nova and teaching in Japan, though I ended up deciding not to in the end. I wish the best of luck to Ben and hope he is able to devote more time to finishing the last book in his series. I have tried myself writing a novel before so I have some idea how hard it is to budget time for it.